Not having enough money in your bank account to cover a check you've written is a nerve-wracking experience. Several things can happen that ultimately depend on how your bank processes the check. In most worst-case scenarios, you might need to make an embarrassing phone call to the person or business to whom you wrote the check and pay extra fees. 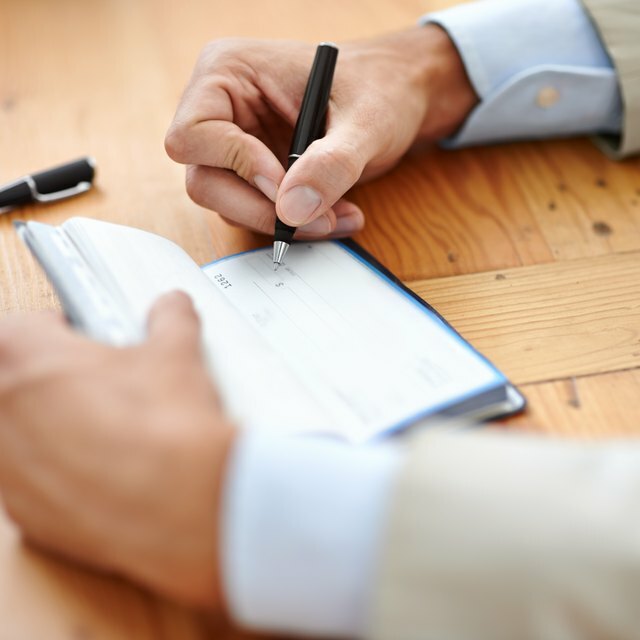 However, if you make a habit of writing checks that can't be honored by your bank – commonly referred to as bouncing checks – you could face harsher consequences. Depending on your bank’s policies, your bank may choose to pay the check when it is presented to your account, even if you don't have funds available to cover it. Ultimately, your bank decides whether it will honor the check and the decision may be based on your overdraft history, whether you have overdraft protection coverage and how much paying the check will overdraw your account. In most cases, you will still be charged an overdraft fee, even if the bank decides to pay the check. If your bank chooses not to pay a check that you do not have enough funds to cover, it will return the check as unpaid because of nonsufficient funds. The bank will also charge an NSF fee to your account. In this case, you will still owe the company or person who deposited the check, but you'll also owe the bank for processing the check. Most banks charge an NSF fee of $30 to $45 for each item it processes against an overdrawn account. Some banks may also charge an additional fee for each day your account remains overdrawn. When a check you write to a company is returned, the merchant may also charge a fee. This is in addition to any NSF fees you pay the bank. The merchant’s fee may be assessed to cover returned deposit fees the company pays as a result of your check being returned, plus administrative costs the company incurs to try to collect your payment. Although not every merchant will charge a returned item fee, many do. If a check you write is not honored by the bank, contact the merchant as soon as possible. In some cases, a merchant may be willing to waive any additional fees it may charge if you are up front about the mistake and make arrangements to make good on the check. However, some merchants may also require you to replace the check with a money order or cashier’s check. If you write checks that you don’t have enough money to cover, you could be reported to a national check reporting system, such as TeleCheck or ChexSystems. These companies record information about bad check writers and a report in these systems may cause your checks to be declined for future purchases. In some cases, a merchant or person may also report a bad check to state authorities, and you could face criminal charges. Usually, these measures are reserved for people who write bad checks often, or those who do not make arrangements for an unpaid check to be honored. To reduce the risk of these consequences, arrange to pay checks returned by your bank as soon as possible and make sure you have enough money in your account to cover future checks.